Julie Parkinson is a self-taught artist, currently in her final year of study for BA Hons Art Enterprise at Leeds City College. Parkinson’s practice has both a functional aspect creating dinner sets, glassware, vases etcetera . . . whilst also creating large scale interactive installations based around themes of mental health. In December 2019 she will be undertaking one of her installation projects as part of our programme here at BasementArtsProject. Before this Julie has, along with previous Basement exhibitor Michael Borkowsky, set in motion this forthcoming event as a fundraiser towards our programme here at the Basement. To Julie and Michael, BasementArtsProject salutes and thanx you from the bottom of our hearts (otherwise known as the Basement, that’s were mine lives) We hope you will be able to join us for this event on Wednesday. Julie Parkinson will be hosting a ‘Family Funday Crafternoon’ at The Spinning Wheel pub from 12pm till 5pm. Alongside this will be a joint exhibition with Michael Borkowsky to showcase the results from a previous collaborative project around identifying emotions through scent and colour in art. 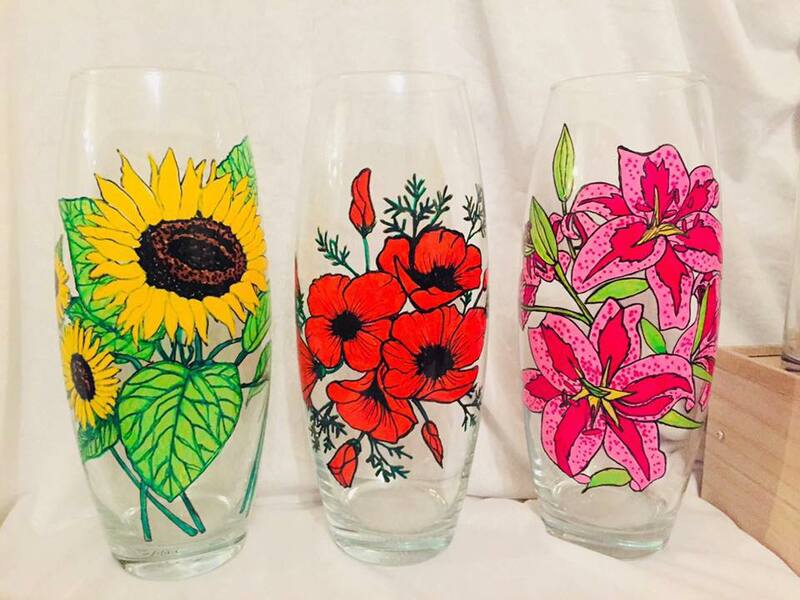 She will be fundraising at the event for Basement Arts Project here in Beeston and there will be lots of hand made crafts for sale including hand painted glasses and pots, jewellery, cards, prints, bags and lots of children’s lucky dips. There will be a raffle and tombola stalls and cakes and cupcakes for sale as well as crafts and activities for children to take part in and face painting. Please come along and support a great local cause. Bruce Davies artist, writer and the curator of BasementArtsProject will be there to talk to people about the project based here in Beeston, South Leeds.